This herb is praised in Chinese Traditional medicine to promote energy, increase circulation and purify the blood. Also called Panax Ginseng, Korean red ginseng is an herb that has been scientifically proven in research to have a multitude of benefits with minimal side effects. Energy drinks like Monster are ditching their old harmful artificial stimulants to invest in natural herbs like ginseng to provide sustainable energy to consumers. They have also been proven to treat seasonal allergies! Not only is it energizing, Korean ginseng is a stimulant and adaptogen, which reduces the feeling of stress on the brain, which promotes long-term concentration and confidence. Here are some ways that red Korean ginseng benefits men and women in numerous ways. This is one of the most popular and researched herbs on the planet and is the closest you can really get to a “miracle” medicine with minimal side effects. It’s botanical name is “Panax” which means “all-healing” and probably for a reason. 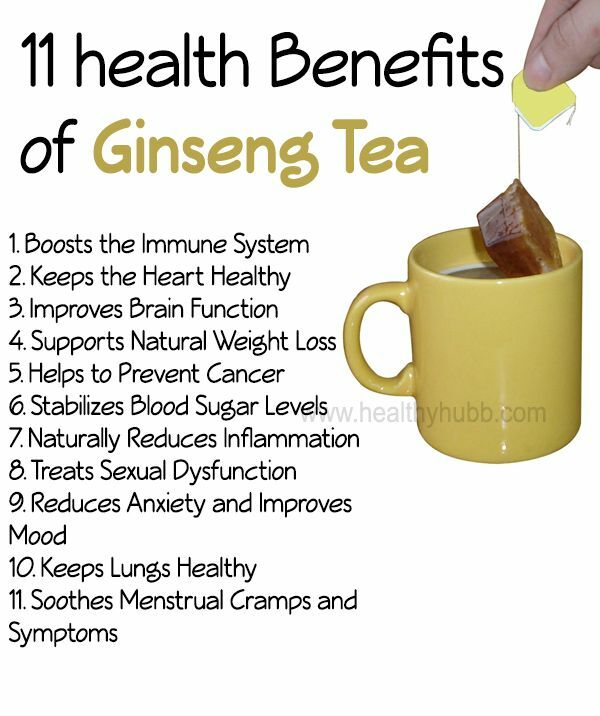 The health benefits of ginseng have been known for thousands of years. The Chinese have used it as a tradition since the earliest empires and recent evidence proves that Native Americans made use of it in medicine as well. There are differences between these species of ginseng, however. They also have different health benefits to match. American Ginseng (Panax quinquefolius): Chinese medicine considers this herb to be a cool and calming tonic. When consumed, it feels refreshing and cold. The herb has been researched to improve memory and mood while effectively treating ADHD disorders. It is also a great natural supplement for colds because it stimulates immune function. Red Korean Ginseng Benefits (Panax Ginseng): In Chinese medicine, this species of ginseng is considered a warming tonic. It is regarded as a nervous system stimulant, fatigue reducer and enhancer of mental capabilities. Ginseng has sexual benefits for both genders and it’s protective against cardiovascular and neurodegenerative diseases. It is an excellent immune booster that treats the root cause of allergies and can even be considered in treatment for cancer. There is a wide range of benefits for this species. Siberian Ginseng: This species of ginseng is much different from the others. Allergic reactions to this one are common, but it has been proven to stimulate the immune system and increase energy and vitality. It can be regarded as an alternative to caffeine. You should make sure that you don’t take too high of a dose of Panax ginseng because it could cause nervousness or insomnia at night. Pregnant women are not advised to take ginseng because it can cross the placental blood barrier and be present in breast milk. Your unborn fetus probably does not need an energy boost anyway! Medications for diabetes that affect blood insulin levels. Medications that thin the blood. Medication for psychosis or energy stimulation. Medical science surrounding erectile dysfunction is severely lacking. However, it has been proven that herbs that can improve circulatory and nervous function can effectively treat the condition. Many elderly men who suffer from erectile dysfunction are discovering the wonders of Korean ginseng for their sexuality. The active biological compounds found in Panax ginseng can also improve sexual function of women. This herb can increase the ability of the pituitary gland to produce human growth hormone, which is associated with better brain function, weight loss with lean muscle gain, and reversal of aging. The ability of ginseng to help the brain absorb nitric oxide is also the same for women. They can also experience better sexual arousal and pleasure when taking this root herb. Red Korean Ginseng is considered “generally safe” by most prestigious medical societies. Researchers suggest that short-term use of it as a supplement is the safest and most beneficial way to take it. Prolonged use may have an effect on your hormones that could cause dependence on ginseng for energy if taken every day for more than three weeks. You can avoid these side effects by lowering your dose of ginseng. Usually, the supplement on the package will tell you how much a dose is and recommend how much to take depending on your gender and weight. Fermented ginseng supplementation has been proven to be a great medicine for allergies. In particular ginseng root that has also been steamed lightly seems to be excellent for preventing histamine responses in the human body. Fermenting will also increase the saponin content of the herb, which results in a potent anti-allergy effect. There is also evidence that it also provides an anti-inflammatory effect that can soothe your joints and muscles. Numerous scientific studies have concluded that Panax ginseng is effective at treating the symptoms of allergic rhinitis during allergy seasons. It may be a great alternative to OTC drugs and prescriptions that cause long-term damage to the body. For my allergies, I personally use this Panax ginseng and I really love it. It is probably the most pure of ginseng supplements that I have tried and I keep going back to it. It is really worth the investment. I take one in the mornings if I did not get quality sleep, or if the pollen counts are really high. It really does wonders. I am always here for you, so if you have a question or something to add about red Korean ginseng, please leave me a comment! How long it took the Red Korean Ginseng to cure you allergies? I have dust allergy and not breath properly from born. I took it, at beginning It effect good on my breathing now the effect was reduce. I wouldn’t say that red korean ginseng actually cured my allergies, but it definitely helped. The tea definitely helps me with breathing when I need it.